This was already going to be a column about music festivals — and Philadelphia music festivals, in particular — before the mayor's office made a mess of the city's relationship with Jay-Z's Made in America this past week. On Tuesday, the mayor's office announced that the festival would not be held on the Ben Franklin Parkway in 2019. These days, there's a consensus in the concert industry that there are too many festivals, and that although big-name gatherings such as Coachella, Bonnaroo and Lollapalooza continue to succeed, the time has come to cut back on the copycats that all tend to book the same acts. But Made in America is a uniquely Philadelphian gathering that is like no other, and that's because of where it is. If you take a look at the regional fests that have sprung up in the Philadelphia area in the last decade, you'll find that none of them suffer from that dread disease of the same old anonymity. Each of the worthwhile fests has carved out its own Philly identity, from Hoagie Nation on Memorial Day weekend to Made in America on Labor Day. That action-packed slate includes the Roots Picnic at the Festival Pier and the perennial Philadelphia Folk Festival in August. What do all these demographic and genre-spanning festivals have in common? They all feel Philadelphian. That goes for Hoagie Nation, which is building its brand on the basis of both Philly's favorite food and hit-making pop soul duo, as well as the Roots Picnic, curated by the Philadelphia hip-hop band that reps the 215 on The Tonight Show with Jimmy Fallon. It's true of Xponential (July 27-29), even though it's in New Jersey. That's partly because presenter WXPN-FM's (88.5) is an expert at community building and partly because getting caught in a horrific traffic nightmare trying to get to Camden for a show is a time-honored Philadelphia tradition. Xponential has a more pronounced local flavor than usual this year. Saturday headlining duties are being handled by Grammy-winning Philly band the War on Drugs. Local up-and-comers are featured, such as jangly rock band Hurry, hip-hop-R&B duo &More, and rising indie act Harmony Woods. The Chainsmokers performing on the Rocky stage during the Budweiser Made in America festival on the Ben Franklin Parkway in Philadelphia last September. But Made in America is distinctly Philadelphian to a degree that's above and beyond all the others. Since its inception, the festival has brought in the names-in-lights likes of Beyonce (twice! ), Rihanna, Coldplay, Kanye West and Pearl Jam, not to mention Jay-Z himself (also twice). This year's scheduled headliners are Nicki Minaj, Post Malone and Meek Mill, freed-from-prison North Philly rapper and criminal-justice reform advocate. It's not that the lineup has ever been especially locally focused, though this will be the third time Mill has performed there, including last year's surprise cameo appearance as a guest of Jay-Z. And the fest has recently been pretty good about including indie bands that reflect the burgeoning 215 rock scene, though the bookers seem to have fallen down on that job this year. No, it's because of the Benjamin Franklin Parkway, stupid. Since its inception in 2012, Made in America has taken place in a gated multi-stage area set up in front of the Philadelphia Museum of Art. Unlike other fests that use a conventional venue as a base of operations or take place in a beautifully bucolic field in the middle of nowhere, Made in America happens right downtown on the streets where we live. The symbolic and semiotic value of that is hard to miss. Everybody wants to perform on the Parkway, from the 2005 Live 8 African-relief concerts held on the 20th anniversary of Live Aid to the Welcome America July 4 concerts that used to star the Roots, but have not, since the Kenney administration took office. Roots drummer Questlove reminded Philadelphians this week by Instagram that the legendary crew was unceremoniously dropped from its longstanding gig. Crowded Philadelphia streets full of a diverse group of people gathered in front of the Rocky steps with Billy Penn standing on top of City Hall and Independence Hall just across town makes for an appealing aerial shot that, in Made in America's case, works as an advertisement for the City of Brotherly Love that gets shown all around the world on Jay-Z's Tidal streaming service. But there's more to it than marketable optics. Made in America is unique among festivals of its size anywhere in that it takes over the center of a great American city where it presents a world-class selection of what the music industry still sometimes euphemistically calls "urban" talent — that is, music predominantly made by people of color — and makes its easily accessibly to the people who live in that city, which happens to include a lot of people of color. The "barrier of entry," is not high. With early-bird discounts tickets gone, Made in America two-day passes were on sale this week for $175. Not pocket change, but considering that scores of bands are playing — and one of them is the great Janelle Monae — it's a bargain. Yes, because the audience for hip-hop in 2018 is (at least) as white as it is black, that means there will be lots of suburban kids in red, white and blue getting blotto on the streets of Philadelphia. But it also means that lots of black and brown kids will get to see some of the biggest acts in the world within blocks of their homes. It's a remarkable thing, whether you're a privileged suburban hip-hop fan or a not-so-entitled inner-city music lover. As somebody who's been there for nearly every minute of MIA since its inception in 2012, I'm not going to pretend that the festival is amazingly user friendly (can we get a couple of coffee trucks this year, please?!) but it's still a remarkable event — and a remarkable Philadelphia event. It is what it is because of where it is. Maddie Coron and John Kozinski of West Chester embraced in the rain as Cardi B performed at Made in America in 2017. Of course, along with all the global exposure and hotel rooms filled on a lazy late-summer weekend — a peeved Jay-Z said MIA has brought in more than $100 million in economic benefit to the city since 2012 in his pointed Inquirer oped piece a few days ago — the cost of all that good stuff can be a tremendous amount of hassle. Neighbors don't like the noise, the cleanup is expensive and time consuming, the street closings are an enormous pain, many object to the turning over of the city streets to a private enterprise, people complain about profane language and shutting down the city's grand boulevard that houses its most august cultural institutions on a holiday weekend. The impact of Made in America and other events from the 2017 NFL Draft to various Parks on Tap beer-drinking events on the Parkway is the focus of a study, published earlier this year, that looked at "appropriate uses of the Ben Franklin Parkway." The report reveals data gathered by interviewing Parkway patrons and residents. Along with coming to conclusions such as "there is a lack of transparency around costs associated with special events," it expresses "ongoing concerns of damage to the collections of the Philadelphia Museum of Art resulting from excessive vibration and amplification." Yikes. It's not surprising that the study shows that many people who don't attend Made in America are not wild about Made in America — sample residents surveyed skewed older (87 percent were older than 35) and predominantly white (94 percent). Interviewees intercepted during the fest "felt the event made it difficult to dine or shop in the Parkway District." On Tuesday, the city said it was "interested in discussing alternate locations within Philadelphia for future years." The study floats the names of some alt-locations, finding that 50 percent of respondents say they would definitely or maybe attend Parkway events if they were held at other venues in the city, with the highest percentage saying they were likely to still go if the event were to happen at Penn's Landing, followed by the Sports Complex, Mann Music Center, and Belmont Plateau. Fans wave their arms while Maleek Berry performed at the Tidal Stage during Made In America along the Benjamin Franklin Parkway in 2017. That might seem like encouraging info for people who want to see Made in America stay in Philadelphia. Sure, let's just move it to Penn's Landing! That'll work. But c'mon: People will go see their favorite band anywhere — in a dumpster, if need be. That doesn't mean those alt-sites would make for favorable settings for a festival. And it also seems unlikely that the proposed alternate sites would capture the imagination of the festival founder like the Parkway does. 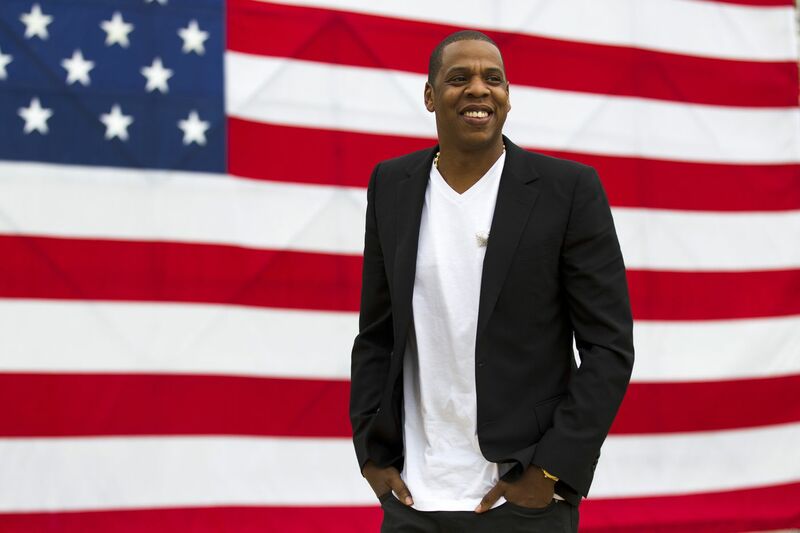 "The Parkway is very important to Jay," Roc Nation COO Desiree Perez said Wednesday. "A common refrain among people who want to move the fest is "Don't we have a lot of stadiums," but the festival would be forever changed if it were to take place in a seated, conventional venue. The most creative alternative to the Parkway to my mind would be to place it on Belmont Plateau, the site that hosted many concerts in the early 1970s. It also affords picturesque views of the city skyline and has its own bit of hip-hop history, in DJ Jazzy Jeff & the Fresh Prince's block party classic "Summertime": "A place called the plateau is where everybody goes." The danger in all this for the city, though, is that instead of moving his festival to another spot in Philadelphia, Jay-Z will choose to transport it, and its economic benefits, to a different city. Certainly the patriotic strength in diversity imagery of Made in America could be transferred without too much difficulty to Central Park in Manhattan or the National Mall in Washington. The two sides, which that seemed at odds with each other at midweek, are talking now. "We hope to be able to resolve what has been an unfortunate misunderstanding," the mayor's office said on Wednesday night. "We are committed to continuing our partnership with the Made in America festival." Music fans should be hoping they got the job done. If not, Made in America will no longer be made in Philadelphia.